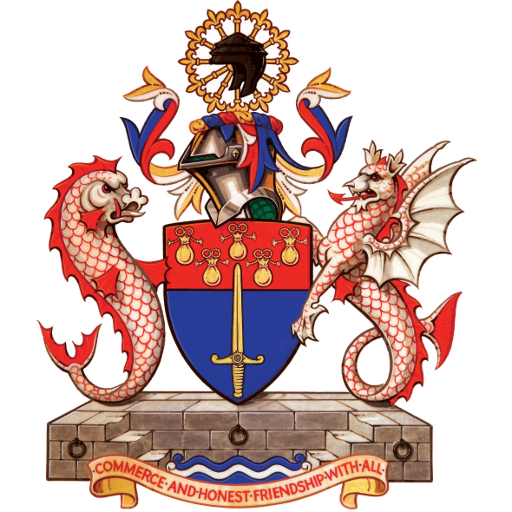 A role of all Livery Companies is to further education and training, and to care for those in need of help. The World Traders is dedicated to furthering education, especially in the area of international trade and we are proud of the many charities that we support. You can read more about our work in education as part of the Livery movement here. Please use the links below to view details of the charitable organisations supported recently by the Company. More details and opportunities to volunteer can be found in the members’ section of the website. A UK based charity which helps marginalised women in Malawi and Zambia to build sustainable businesses by providing business and financial training and small loans. Over time the money they generate from their own effort helps to ensure food security, improve housing, access to healthcare, and an education for their children. Y Care International is a youth-driven organisation that exists for vulnerable young people to help them free themselves from poverty and unleash their skills, capability, and resilience. The focus is on creating opportunities through enterprise and employability for young women and men aged 15-24 made vulnerable by inequality and injustice. Support is provided for practical, inclusive and local action in many developing countries, including sub-Saharan Africa, Asia and Haiti. Y Care International works in partnership with NGOs. Provides careers and technology training courses for blind school children, and a careers service and recruitment events for blind adults. Saving lives and alleviating those in suicidal crises by befriending them in a safe, non-medical environment, the Maytree Suicide Respite Centre fills a gap in services, between the medical support of the NHS and the helplines and drop-in centres of the voluntary sector. The charity offers a free 4-night/5-day stay, and the opportunity to be befriended and heard in complete confidence, without judgement and with compassion and warmth. Sailors’ Society is an international Christian charity working in ports across the world. Their chaplains help seafarers and their families from all faiths and none with welfare and practical support. They visit ships in ports and talk with seafarers away from home for up to a year at a time; they help them get in touch with much missed loved ones and access medical treatment; they liaise with frightened families when seafarers are kidnapped by terrorists or imprisoned, mostly through no fault of their own; and they build homes and schools and provide grants to bring hope and security to seafaring communities. Works with deprived young people and their families in the inner city areas of Bermondsey and Rotherhithe. Some of the children taken on camping trips have never been outside Bermondsey before. Providing recreational and leisure time activities provided in the interest of social welfare, designed to improve their conditions of life. Specialises in site-specific theatre, theatre in education, live interpretation and training. The company researches, writes and stages productions for school and community audiences in locations from a tidal mill and Chelsea Physic Garden to several City of London churches and assorted historic houses, by way of the odd damp field. Many of their plays provide a unique form of theatre in education in which the audience become characters and help influence events. They also run training courses for teachers and business people. Some cover presentation skills, voice and movement, some are curriculum-based. Council for AT -Risk Academies helps academics subject to, or at risk of, discrimination, persecution, suffering or violence, to ensure they continue their role as educators. Create uses the arts to works with disadvantaged people from all walks of life. WT project: financial literacy for primary children in deprived areas. For example, two drama teachers going into school for two weeks and helping the children to write their own play. An award-winning not-for-profit social enterprise, set up by a team of teachers in 2009. Their mission is to equip young people with the skills, experiences and aspirations they need to succeed in life. Provides materials and teacher training to develop leadership and enterprise skills. The World Traders contribution has been towards a project developing materials for secondary school aged children. Future First is a national education charity that helps state schools and colleges to build alumni communities. At the core of their work is the drive to ensure that no young person’s future is limited by their background. Access to relevant and relatable role models can transform a young person’s confidence, motivation and skills and former students can be ideal role models. Having grown up in the same community and sat in the same classrooms, they can show students that ‘people like me’ do succeed. Click here for the Future First Annual Report. The London academy of Excellence is an Independent Sixth Form Academy in Stratford, East London, that teaches only the A levels most favoured by leading universities and employers. Since opening in September 2012, LAE has established a strong reputation for academic excellence across London. The Lyndon Arts Trust Outreach Programme focuses on primary schools in areas of social deprivation in the City and adjoining boroughs, helping children access arts activities that would not normally be available to them. Projects in the Outreach Programme are offered as Team Building Days to City companies with policies of Corporate Social Responsibility, helping young employees gain a better understanding of the community around their place of work. The Trust also operates a workshop is based at Malorees Junior School in Kensal Rise which is used as a drop-in art centre for the school children during break hours. Risk Agency is a construction Charity working to equip young people with skills to become the change makers of tomorrow. The charity puts young people in control of bold and ambitious construction projects in their communities. Working on-site, they develop young people’s ability to lead social action, work collaboratively and fulfil their potential. They teach carpentry and other skills through the design and building of adventure playgrounds. The World Maritime University (WMU) in Malmö, Sweden is a postgraduate maritime university founded by the International Maritime Organization (IMO), a specialist agency of the United Nations. Established by an IMO Assembly Resolution in 1983, the aim of WMU is to further enhance the objectives and goals of IMO and IMO member states around the world through education, research, and capacity building to ensure safe, secure, and efficient shipping on clean oceans. WMU is truly an organisation by and for the international maritime community. A World Traders Bursary pays the fees for a student in distance learning for the International Maritime Law Programme Postgraduate Diploma. The award is made to the best performing student in the first module. XLP helps young people growing up on deprived inner city estates recognise their full potential. The Charity has been working with young people using the performing arts and staging Arts Showcase events in London for over 16 years. Every year they work with over 600 young people aged 11-18 across the London boroughs of Southwark, Lewisham, Greenwich, Tower Hamlets, Newham, Islington and Camden. The Arts Showcase project utilises music, dance, drama, comedy, rap and poetry, in order to provide a platform for young people to express the issues they are facing, as well as unearthing some incredible hidden talent. XLP is can change and encourage them to set positive goals and work hard. Young Enterprise empowers young people to harness their personal and business skills, making the connection between school and the world of work, and enabling young people to develop the knowledge and attitudes they need to succeed. For example, in their company programme students find out what it’s really like to set up and run a business. They make all the decisions about their company, from deciding on the company name and product to creating a business plan, managing the company finances, selling to the public at trade fairs to ultimately winding up the company and paying their taxes. All this takes place with the support of a volunteer Business Adviser who brings a wealth of business knowledge and expertise. The Treloar Trust provides education, care, therapy, medical support and independence training to young people with physical disabilities from all over the UK and overseas. The aim is to prepare these young people for adult life, giving them the confidence and skills to achieve their full potential. The main areas of work are the non-maintained Nursery and School (from 2 to 19 years) and College (from 16 to 25 years). In School young people are prepared them for the next stage in their lives, the aim being that every student leaves having achieved at least one nationally recognised qualification. In College the aim is to enable all learners to achieve their long-term goals of a more independent life and make a meaningful contribution to their community, including Higher Education and employment. Click here for The Treloar Trust Annual Review.